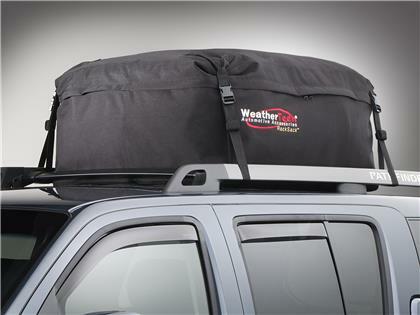 The WeatherTech RackSack expands your cargo carrying capacity a whopping 13 cubic feet (measures 39” x 32” x 18”). Made of durable water repellent polyester, the RackSack stows away neatly in its own bag. 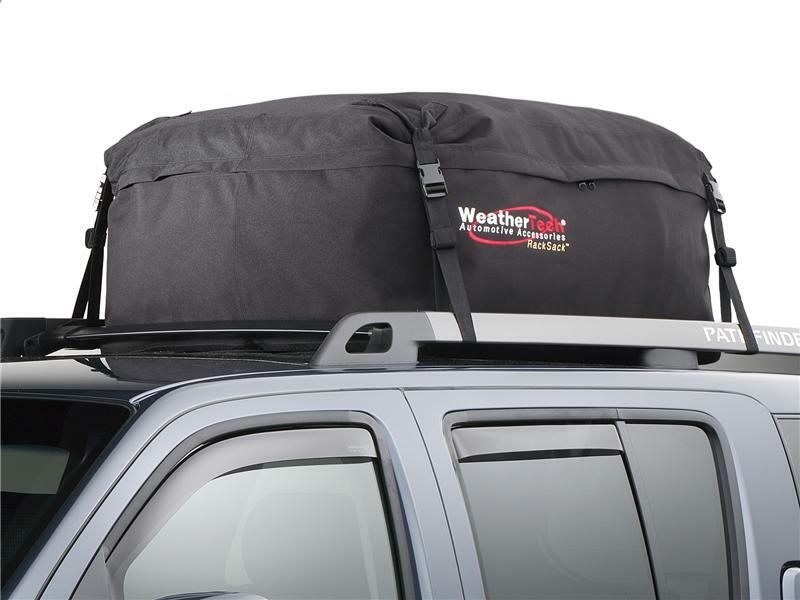 Features include swivel straps that mount to the crossbar or side rails of an existing roof rack, patented Roll and Wrap tabs to prevent flapping straps, and a soft felt bottom to protect your vehicle’s finish from scratching. WeatherTech RackSack is guaranteed against faulty materials and workmanship for a period of three years from the date of purchase. Exclusions to this warranty are wear through due to severe abrasive conditions, chemical contamination, such as spilled gasoline, bleach, etc. We are reasonable people and we believe in customer satisfaction. Depending on the situation, we will either replace your product at no charge or charge you a prorated amount for a replacement. PLEASE NOTE: For use only in conjunction with a cargo rack.